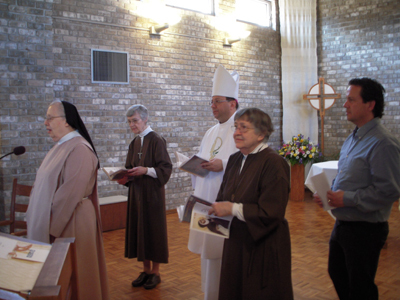 In Community here in Bloomington we knew God’s blessing as we celebrated the Solemn Profession of Sister Lucie Lafleur on April 27. Sister Lucie is originally from Quebec where she ministered as a pastoral associate and a member the San Egidio movement with particular outreach to immigrants. The Solemn Profession took place in our Chapel during the Eucharistic Celebration. 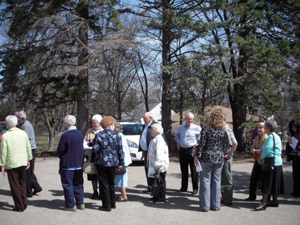 Following the Eucharist and ceremony we all walked to the hospitality area for the luncheon prepared by the Sisters. 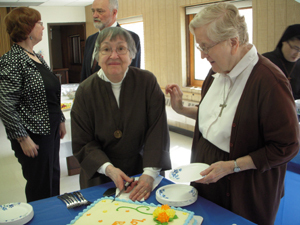 Sister Lucie and Sister Gabriel attended to the ceremonial cake. 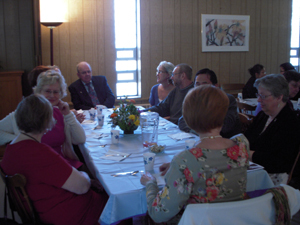 Family and friends joined us for a festive meal. 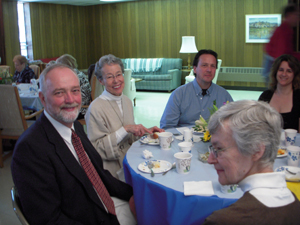 Eric and Brigitte, dear friends of Sister Lucie, came from Quebec. This entry was posted in Latest News and Views by Beth. Bookmark the permalink.